Abu Zayd al-Balkhi was a 9th century Muslim polymath, whose writings touched on subjects as varied as geography, medicine, philosophy, theology, politics, poetry, ethics, sociology, grammar, literature and astronomy. 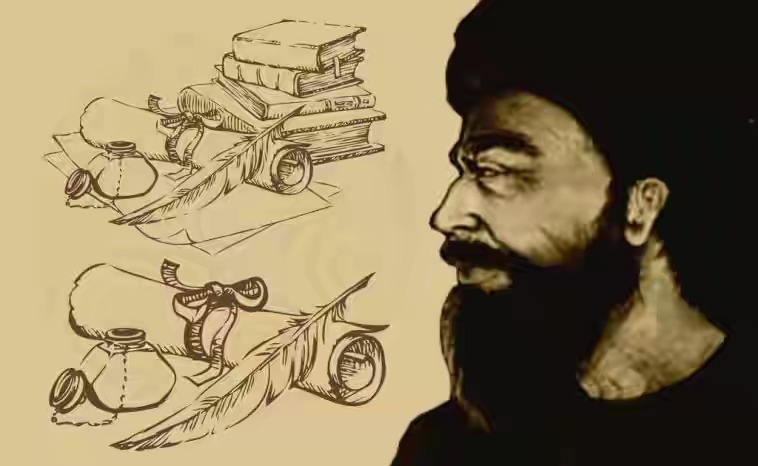 Born in 849 CE (235 AH) in the Persian village of Shamisitiyan, within the Balkh (from which he gets his name) province, now a part of modern day Afghanistan, he went on to write more than 60 books and manuscripts. Unfortunately, most of the documents authored by him have been lost over the years, with only a minority of his work reaching us in the modern era. Of the few aspects of his legacy that have reached us, namely his development of the “Balkhi School” of terrestrial mapping, and his work on the Sustenance of the Soul, both show the intellectual prowess of the scholar. 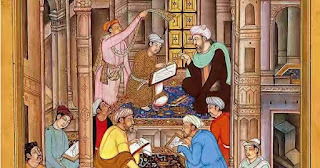 Al-Balkhi received his early education from his father and as he grew older, he began studying the scientific and artistic branches of knowledge of the time. In terms of his temperament, he is described as being shy and contemplative. One of the main initial goals for psychologists practicing in the Western world today is often normalising the illness. Even in the most developed (in terms of the material sciences) parts of the world, stigma and shame often accompany psychological illness, aspects of which are still seen as taboo. Many parts of the Muslim world contain much more deeply entrenched stigmas and taboos in this realm; psychological illness can also be seen as a shameful thing, brought down upon a family as a punishment for their sins, or resulting from a weakness of faith. The process of normalizing illness is so important within therapy because most of us who experience psychological illness deem ourselves to be abnormal, unusual and altogether unnatural. By normalizing the illness, a client can begin to stop ascribing to themselves labels such as these. More than a millennium ago, Al-Balkhi was writing to normalize psychological afflictions to his readers. 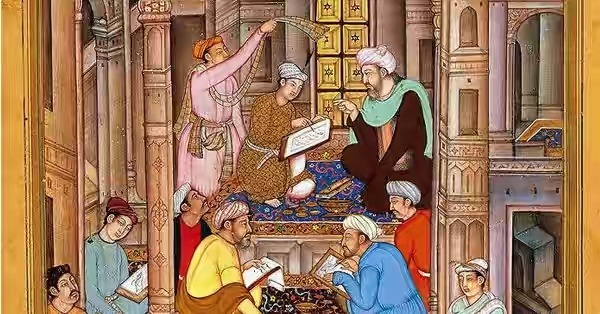 Al-Balkhi makes the now widely disseminated and accepted connection between the mind and the body, with the health of each having significant consequences on the other, “when the body becomes ill, it will prevent learning (and other mental activities), or performing duties in a proper manner. And when the soul is afflicted the body will lose its natural ability to enjoy pleasure and will find its life becoming distressed and disturbed”. He also recognizes the reality of psychosomatic illness, “psychological pain may lead to bodily illness”. This recognition, which is also later discussed in the works of Persian physician Haly Abbas, did not enter the consciousness of western psychologists until Freud began exploring the idea nearly a millennium later. His prescribed treatment of depression echoes the ideas of psychotherapy; he describes using “gentle encouraging talk that brings back some happiness” while he also advocates for music therapy, and other activities that might warm a person’s psychological state. When reaching out to the anxious or fearful reader, Al-Balkhi advocates the use of positive self-talk that is aimed at soothing an individual’s mindset and gaining an upper hand over one’s fear. In the text he also strongly advocates for discussing one’s issues with a trusted friend or confidant. While Al-Balkhi does entertain the idea that obsessive thoughts can in part be caused by the devil, he spends all of the text focused on “earthly” solutions. Crucially, Al-Balkhi argues that even if the cause of obsessive thoughts is the devil, the symptoms should be fought by cognitive strategies. On obsessive compulsiveness, Al-Balkhi’s descriptive criteria are in harmony with the Diagnostic and Statistical Manual of Mental Disorders (DSM-V), the bible of psychiatric and psychological illness. The DSM-V describes obsessions as, “Recurrent and persistent thoughts, urges, or impulses that are experienced, at some time during the disturbance, as intrusive and unwanted, and that in most individuals cause marked anxiety or distress”. This is extremely similar to Al-Balkhi’s descriptions: “Annoying thoughts that are not real. These thoughts prevent enjoying life, and performing daily activities. They affect concentration and interfere with ability to carry out different tasks. Afflicted individuals become preoccupied with fearful thoughts and expect these events at any time”. There is also stark commonality between the two texts in describing the afflicted individual’s attempts to suppress the unwanted obsessions; the DSM-V mentioning their attempts to, “ignore or suppress such thoughts, urges or images”. Al-Balkhi’s text talks of the individual not being able to “use their mental faculties to deal with anything else, and would be too busy with the imagined imminent danger to enjoy any pleasures or to concentrate on what is said to him or to socialize with others. Whenever he tries to let go and socialize, the disturbing thoughts will shoot up to control his mind”. Al-Balkhi’s work is undoubtedly centuries (if not a whole millennium) ahead of its time. From differentiating between types of depression, to acknowledging the inheritability of proneness to obsessive thinking, Al-Balkhi proves himself to have had an impressively discerning eye for the psychological. Readers of the text will readily note Al-Balkhi strikes a balance between the spiritual and the material that might be said to be uncharacteristic of the time; rather than explaining everything through words such as devil, jinn and sins, he relies instead on psychological language to explain psychological phenomena, without completely disregarding the unseen. This balance seems to elude contemporary psychologists who have thrown the proverbial baby out with the bath water in their attempt to achieve scientific rigor, while completely dismissing spiritual and immaterial matters. While Al-Balkhi’s work does contain some words and ideas that are likely to be problematic to the contemporary reader, it is important to read the text with its context in mind. Perhaps the most important lesson to be drawn from Al-Balkhi’s work, for both the psychologically minded and non-psychologically minded contemporary Muslim, is the marriage his work embodies between the religious sciences and what we might now call the secular sciences. By striving for a mastery of both, he produced content that harmonizes the two; something that many today say is impossible due to the false dichotomy between religion and science.